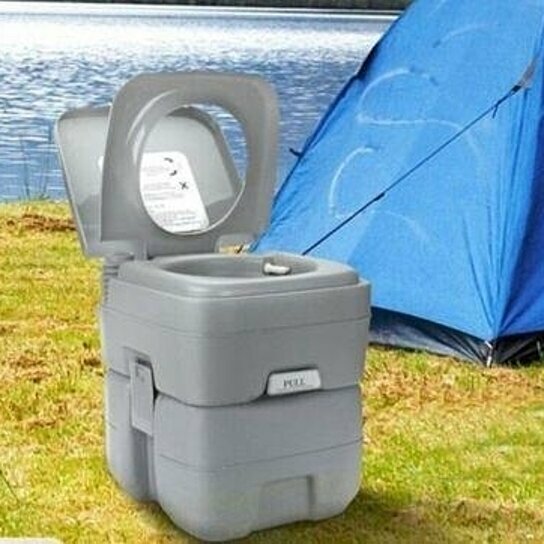 Portable Camping Toilet features high quality construction and generous water reserves. The high-density construction makes it strong and durable. It is tough enough to handle the challenging conditions. It has 12 Litre freshwater capacity providing 50 flushes without recirculating. Both tanks are in one-piece with heavy duty and corrosion resistant side latches locking the tanks together. Its lightweight design makes it easy to transport and be placed anywhere. For your aesthetic requirements, the portable toilet has an attractive matte finish and is scratch resistant. It can be scrubbed clean without damage. It is perfect for camping, boating, caravans, cabins, you name it!